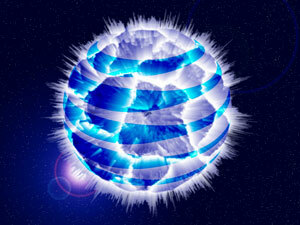 We didn’t think it was possible, but our loathing and disgust at all things AT&T has risen. You may remember our previous two posts in which we described how AT&T had sent a salesman around to sell us their U-Verse package. After several hours of of talking and thinking about it, we decided to go with U-Verse only to be told we didn’t exist within the AT&T system. After some more exchange of information, we were finally “found” within the AT&T computers and we thought all was set to go. It wasn’t as AT&T demanded some sensitive information be given over the phone to a person we did not know and who said we didn’t exist. We balked and said if AT&T didn’t trust us, that is on them and we would walk away. As no one at AT&T seemed to care a customer was leaving, we walked and did not complete the deal. AT&T High Speed Internet service member! To show you how much we appreciate your business, as a special thank you we’ll be upgrading your speed for FREE for 12 months! If you have any questions at all, you can reach us at 1.800.209.0916. Again, thank you for being an AT&T High Speed Internet member. Faster speed free for a year? Cool! Mind you, we did nothing to solicit the offer or confirm with AT&T we wanted the offer. They took it upon themselves to go ahead with the faster internet speed. Sure enough, on the night of October 23 / October 24, the speed on the internet increased. This past Sunday night we sat down to pay our bills and we noticed the bill from AT&T had jumped. We were curious as to why and we started to compare prices and services. When we got to the charge for “internet service,” we noticed there was an increase. If you are thinking “AT&T charged for the increase in speed instead of it being free as promised,” you are right. That is what happened. On Monday morning we called AT&T’s billing department and asked why. We spoke with a person named “Amber” who verified we were who we said we were and then proceeded to tell us the promotion price we had been paying ended. “What promotion price?” we asked as we knew there was no promotional price on our bill. After thinking a little bit, Amber changed tunes. “You ordered an upgrade for a faster speed on October 23, 2012,” she said. “Ummmm…. can you hold on a moment? I need to check something…..” and with that, Amber was gone. Now we have to say that we hate having to verify accounts like Jessica wanted us to do. We especially hate it when we have to do it multiple times when the company is transferring us around the country without ever telling us. We hate it even more when we wouldn’t be on the line with them if they hadn’t screwed up. Last but not least, we hate the line of “it is company policy and we can’t look at the account unless you tell us the verifying information” because that is a lie. They are looking at the account as you are talking with them. We absolutely hate it when companies lie to us. We drew a line in the sand and when Jessica says “I can’t help you then,” our fuse ignites. After reading the email to her, we continued. He doesn’t believe that, but he takes the phone number from the email / US mail flyer we received and said he will call that number and see what is going on and call us back. Nah. That would be a case of customer service and you can’t have that at AT&T. Between the two of us we figure everything out and it all seems to be either fixed or on its way to being fixed. So our advice to you is that if you have a sudden urge to bang your head against the wall or be incredibly frustrated by the attitude of employees, give AT&T a call. They can satisfy your need and desire for listening to stupidity and lies, all the while demonstrating a lack of concern and how not to be customer oriented. When it comes to failing customers, AT&T has it down pat. I hope you tell your friends about us.